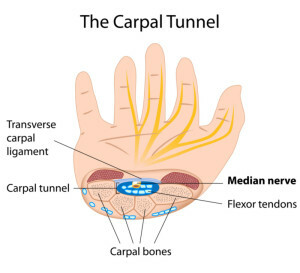 The carpal tunnel is a small passage running through the wrist that houses the median nerve, which transmits sensory perceptions from the fingers and palm to the brain. Swelling can cause the compression on the median nerve, which can become irritated and painful. Pain management can plan an important role in helping carpal tunnel sufferers’ deal with their symptoms. #1 Women have a 3x higher rate of developing carpal tunnel syndrome than men do. It’s believed this is because of the small size of the wrist of females. Women between the ages of 40 and 60 are at the highest risk. Women who take birth control, are going through menopause, take estrogen, or who are near the end of their pregnancy are at greater risk of developing carpal tunnel syndrome. #2 People who work in assembly lines or do repetitive tasks are more likely to develop carpal tunnel syndrome. These movements can be work, hobby, sport, or home related. Carpal tunnel has been found in meat packers, jackhammer operators, assembly line workers, and in those who spend hours at a computer or cash register scanners. Underlying medical conditions can also cause CTS. Conditions such as rheumatoid arthritis, diabetes, and thyroid disease. #4 Carpal Tunnel symptoms can worsen over time. Early symptoms are more of an annoyance such as itchy numbness, tingling or burning typically appearing at night. As the condition gets worse, you may develop weakness in your grip or pain that radiates. As time goes my and your condition worsens, more you may find it hard to make a fist or to use objects that are hand-held. The earlier you get medical intervention the better as this condition will get worse over time, and can eventually cause muscle deterioration. #5 Smoking can contribute to carpal tunnel syndrome. This occurs because it affects the blood flow to the median nerve. Tingling in the fingers, aching in the thumb that may even move up to the neck, numbness in your fingers, a burning pain from the wrist to the fingers, clumsiness in the hands, change in touch sensation, change in temperature sensation, weak grip, unable to pinch, and swelling of the hand and forearm. #7 Carpal tunnel syndrome is devastating to American businesses. It shows up at work in the form of poor work performance, fatigue, pain, discomfort, and poor relations at work. The lost productivity combined with the high cost of treatment hurts business. #8 Treatment might be either surgical or non-surgical. Non-surgical approaches focus on controlling your pain and Pain Management Doctors Las Vegas can help you with this. It might include pain reliever and anti-inflammatory drugs over the counter or prescription, to deal with physical discomfort. Your doctor might also try corticosteroids and diuretics, which can help to relieve the pain. Your doctors may determine that surgery is the best form of treatment. 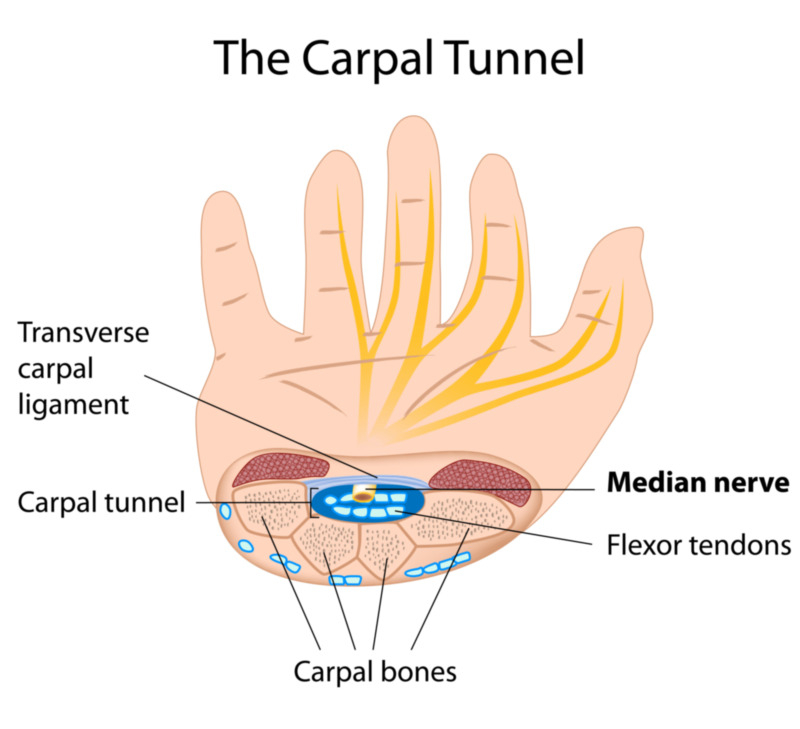 Surgery widens the carpal tunnel allowing more room for the median nerve, which should end the carpal tunnel syndrome. However, surgery is not always successful and Pain Doctors In Las Vegas may continue to treat the patient.